We have gained a remarkable position in the market that is involved in offering Agricultural Trolley Sprayer. 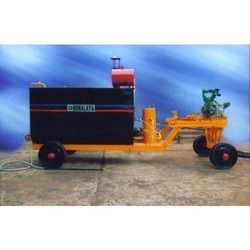 We are offering Petrol Engine Trolley Sprayer to our clients. Enriched with years of experience in the industry, we are engaged in offering Angel Trolley Sprayer. We are instrumental in offering Trolley Sprayer Sprayer - Trolley Type that is extensively used in grape vineyards, coffee plantations, orchards, tall-tree, field crops and rubber plantations to ensure pest free field. Due to efficient performance and low power consumption, this range is extensively demanded in market. 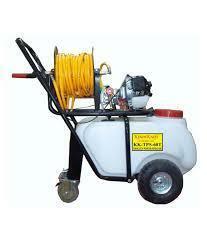 50 Litres Trolley Type Sprayer (26cc Engine 2 Stroke) with 30 Metres Hose Pipe.